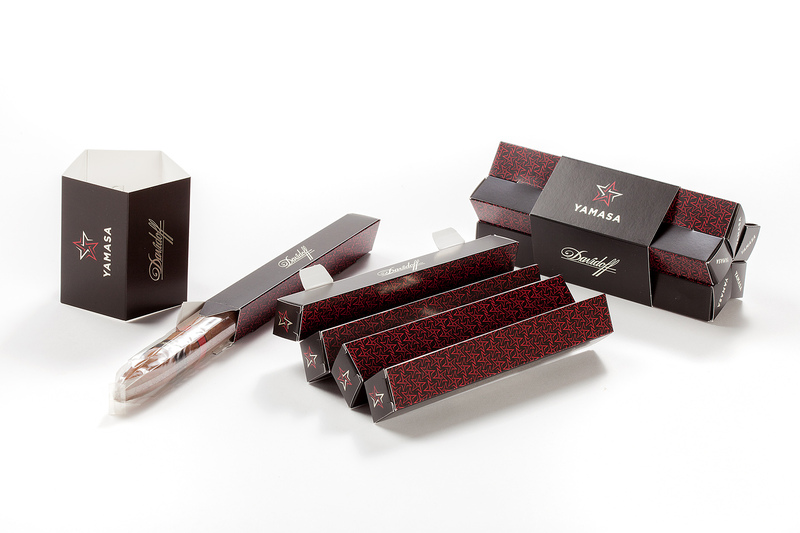 The Yamasa brand contains a star in its logo and this was to be reflected in the packaging design. To achieve this, five diamond-shaped folded cartons were lined up together with a plug-in connection. When these five individual packs are assembled, they represent a star. This is held together with a banderole with plug-in connection. The Touchpoint folded carton offers the option of making the brand become an event and turning the “Consumer” into a “Playsumer” giving the brand a playful experience. The graphic design supports the strong construction design with graphic star elements. 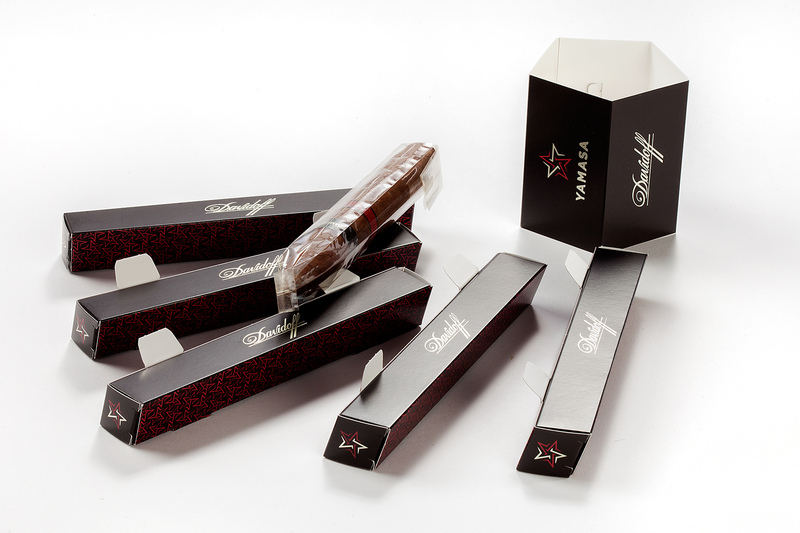 The star-shaped brand is picked up by offset printing and hot foil finishing. 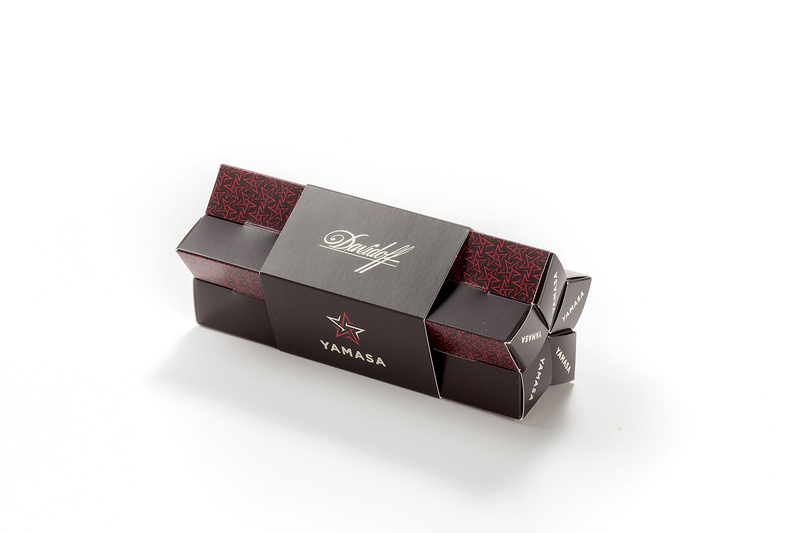 The folded carton turns into a real eye-catcher at the POS as it can also be stacked as a pyramid and thus dispenses with the need for additional presentation aids such as displays. 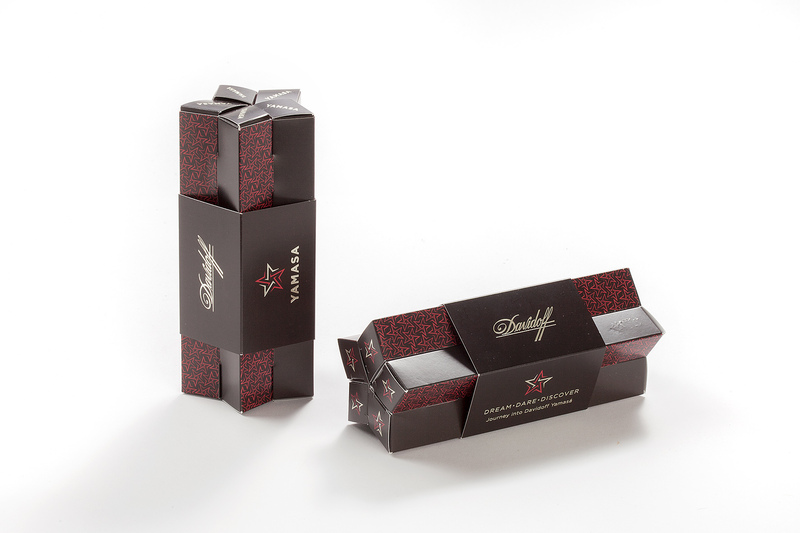 The folded carton also has the advantage that a single cigar can be removed from the pack and remains safely packed and well protected to take home. Very clever, attractive and eye catching. Carton board packaging for cigars without the need for metal tubes. Each cigar is housed in its own distinctly shaped pack which when clustered together and bound by the wrap, forms a ‘star’ shape. We should all remember that Davidoff is a premium brand and clearly they believe that their brand values can be reflected and presented by carton board. It’s all in the structural packaging and presentation. This type of packaging is distinguished by a premium-quality finish and absolute precision in processing. 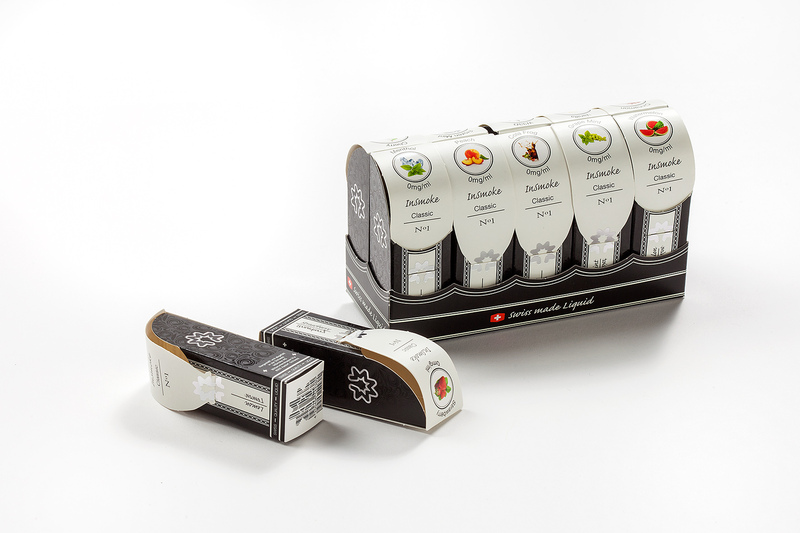 The relatively small packaging, which was produced in 30 different variants, features a premium finish, thus communicating the high quality of the liquid inside. A small tray holds ten of the packaged liquids. Various finishing techniques were applied on an extremely small packaging printing surface: hot foil stamping, special relief varnish and UV gloss varnish. Cigarettes are usually packed into hinge lids with two main shapes: square corner and round corner. This one is different but can still be filled on the same packer. The special corners are made by a special laser creasing technology. The facettes and the metallic background give the edges a more three-dimensional effect. The special shapes are easy to fold and can be used on standard packer machines. 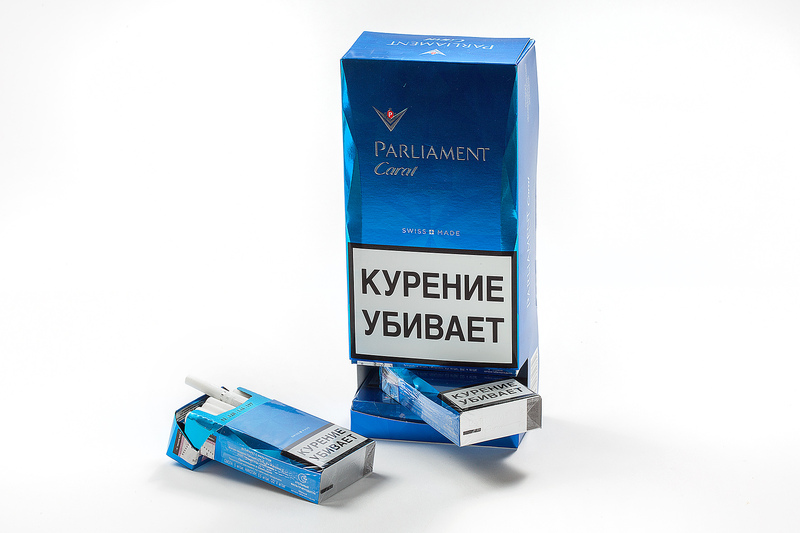 It is considerably more difficult to counterfeit than conventional cigarette packs. Great impact at the point of sale due to appealing shape and graphics: the case that covers the box can be used as a lid holder to create a showcase in the true sense of the word. When placed in stores in this way, customers perceive it as a valuable product. 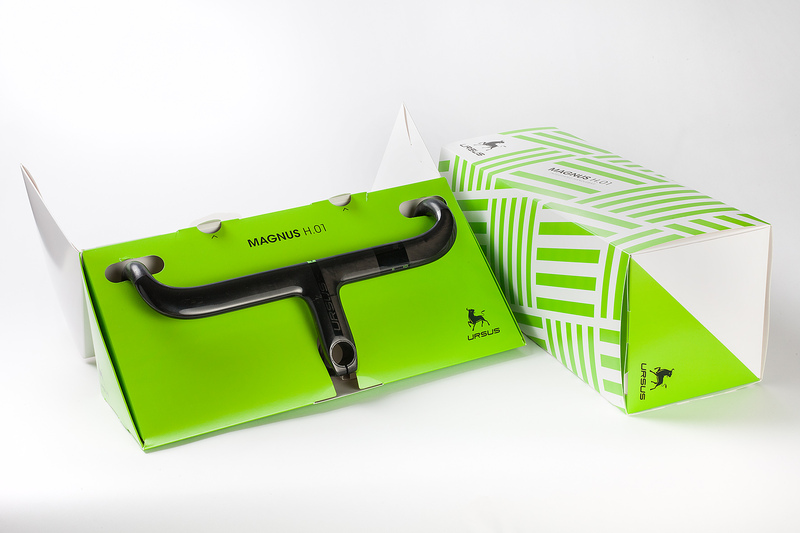 The fully-carbon and black-coloured handlebar placed inside the box on a bright green background attracts considerable customer attention. The double wall structure gives stiffness to the large solid board packaging. Single gluing is enough for a large and complex structure with several compartments.